Ingredients: Herbal blend [distilled water, aloe vera powder and organic coffee], kokum butter, illipe butter, sweet almond oil, sodium lactate (natural humectant and moisturizer), conditioning emulsifier, organic shea nilotica butter, cherry kernel oil, panthenol (vitamin B5), sorbitol (natural humectant and moisturizer), hydrolyzed oat protein (humectant and moisturizer), avocado oil, organic jojoba oil, C12-15 alkyl benzoate (emollient), slippery elm extract, fragrance, diazolidinyl urea and iodopropynyl butylcarbamate (preservative), silk protein, hydrolyzed corn protein and hydrolyzed wheat protein and hydrolyzed soy protein, natural oats, raspberry oil, vitamin E, organic cocoa powder, calendula extract, chamomile extract, xanthan gum, rosemary oil extract. Thoughts: Yes, it has good ingredients. No, my hair was not left silky and intensely hydrated. It didn't provide wonderful slip. My hair ended up tangled. This product just did not work for me. I did try it multiple times and with the same results. This product is packaged in a jar. If used/applied in the shower, water will get in in the container. This would be better in a pump bottle, but at least with the jar you can get all of it out the container. The chocolate fragrance smells like chocolate chip cookie dough. That's one thing I loved about this. 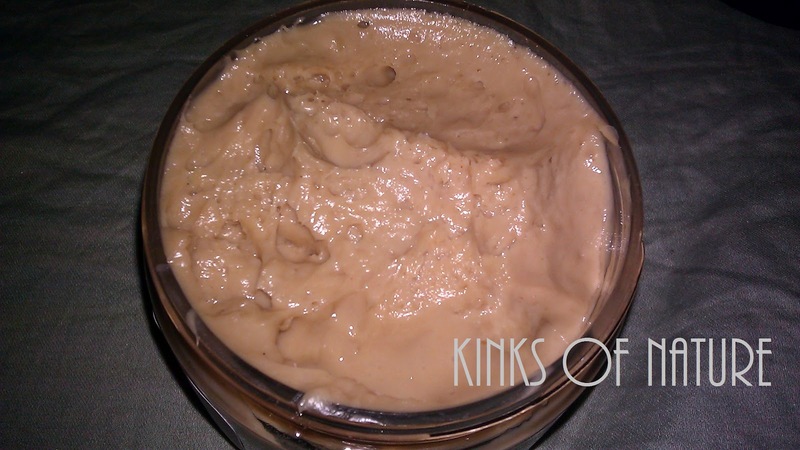 Marie Dean Coffee and Kokum Moisturizing Deep Conditioner is available on the official Marie Dean site and the Marie Dean Etsy shop in 8oz ($22), 12oz ($30) and 16oz ($40) with unscented, chocolate, and vanilla as fragrance options. Would I purchase it? : No. Although this product didn't work for me as a deep conditioner, it was truly the best shaving cream I've used, but I wouldn't spend that much to use it solely as shaving cream. Thanks for the review. I've tried many, many MD products and NONE of them worked for me. I tried to explain to her that her conditioners don't work because she doesn't have enough conditioning ingredients in them. If she just added BTMS or some other conditioners, her products would be the bomb. I don't think she knows what she is doing as far as making products. I've never seen a picture of her, but I don't think she as natural hair. Relaxed ladies and 1-3a ladies love her products but for us 3c-4a girls, her products are terrible. Just MHO.